The Chinese were back in action on Friday, launching the fifth Compass-G satellite into orbit via their Long March 3C (Chang Zheng 3C) launch vehicle. 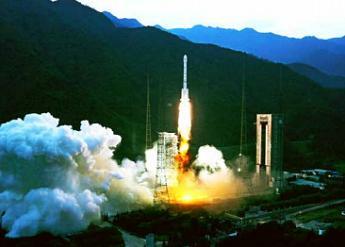 The 16:12 UTC launch from the C2 launch complex of the Xichang Satellite Launch Center, in Sichuan Province was China’s third launch of the year. The system is used initially to provide high-accuracy positioning services for users in China and its neighboring regions, covering an area of about 120 degrees longitude in the Northern Hemisphere using five Compass-G, five Compass-IGSO and four Compass-M satellites. The previous BeiDou-2 ‘Compass’ launch took place on December 1st, 2011, when a Chang Zheng-3A orbited the ‘Compass-I5’ (37948 2011-073A) satellite. This was the eight flight of the CZ-3C Chang Zheng-3C launch vehicle that is primarily used for launching satellite to Geostationary Transfer Orbit (GTO). This rocket was developed to fill the gap between the CZ-3A Chang Zheng-3A and the CZ-3B Chang Zheng-3B, having a payload capacity of 3,800 kg for GTO. This is a three stage launch vehicle identical to the CZ-3B but only using two strap-on boosters on its first stage. 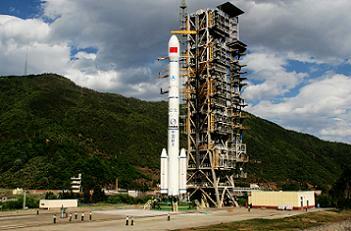 The first launch of the CZ-3C Chang Zheng-3C launch vehicle took place on April 25, 2008, when it orbited the first TL-1 Tianlian-1 tracking and data relay satellite.